This Morning is a national institution but if you’re trying to watch outside the UK, you’re in for some disappointment. It isn’t available outside the UK. Thankfully though that disappointment need not last long because in this guide I’ll be showing you the little trick that will let you watch This Morning anywhere in the world. If you’re a stay at home mum or dad, in between jobs, retired or you love daytime TV then This Morning will be part of your routine. But what about when you go abroad? The show is too long to record and if you’re away for more than a few days then there’ll be too much to catch up on when you get back. If you’ve already tried to access ITV abroad to keep up with Phil and Holly, you’ll have been blocked. Below I’m going to show you how you can unblock ITV and watch This Morning abroad. Watching This Morning overseas is a lot easier than you might think it will be. For this, you’re need a VPN app. I can already hear you wondering “What’s a VPN?” or thinking it’ll be too technical for you to follow, but hear me out. A VPN is a tiny app you put on your computer, tablet, phone or TV that allows you to change your location. ITV via their online ITV Hub service know you’re outside the UK because of your internet connection. But by using a VPN app you can disguise your location and make it appear like you are in the UK. It’s kind of like putting a cloak over where you are. There are loads of VPN apps out there but my recommendation is ExpressVPN. They’re beginner-friendly, have a massive 30-day money back guarantee and they’re even giving 3-months free on their 12-month package right now. A couple of other worthy services include IPVanish and NordVPN. So you really can sign up to any of the three. Next, follow the steps below to find out how you can use the VPN to watch This Morning abroad. You’ll now need to sign up to one of the three recommended VPN services from above and download their VPN app. Visit ExpressVPN or one of the other recommended VPN services and sign up. Then download their app. You’ll find it under the ‘Products’ section on the ExpressVPN website or search your usual app store. Depending on what device you’re using you might need to press ‘Connect‘ (3) too. Once the VPN app has connected, visit the ITV Hub website or use their app. Watch This Morning anywhere in the world. Now you’re connected you can watch as much Phillip and Holly as you want wherever you are in the world. Can I watch This Morning on my computer or laptop? The easiest way to watch This Morning is on your computer or laptop. You’ll only need the VPN app as explained above. Once you’ve got it, you don’t need any additional apps. When you’ve connected to the VPN app you can then watch on the ITV Hub website (formally known as ITV Player). Watching on your phone or tablet is super easy too. For this you’ll need the VPN app as explained above and you’ll also need the ITV Hub app. If you’ve got a UK registered phone or tablet and you don’t have the ITV Hub app already then you should be able to download it from your app store wherever you are in the world. If you’re outside the UK on a more permanent basis, like an expat and you bought your device outside the UK then you may have some trouble downloading the app directly. For Android phones and tablets you can download the ITV Hub app directly from here. If you’re using an iPhone or iPad then read this guide on how to download the ITV Hub app. What about watching on my TV? To watch This Morning on your TV when you’re abroad the best solution is to use an Amazon Fire TV Stick. It’s a small stick from Amazon that you plug into the back of your TV. It gives you access to both live TV and catch-up TV from ITV and all your other favourite UK channels. You’ll still need a VPN from ExpressVPN. Otherwise you’ll find it blocked but it’s just as easy as downloading to your phone or tablet. 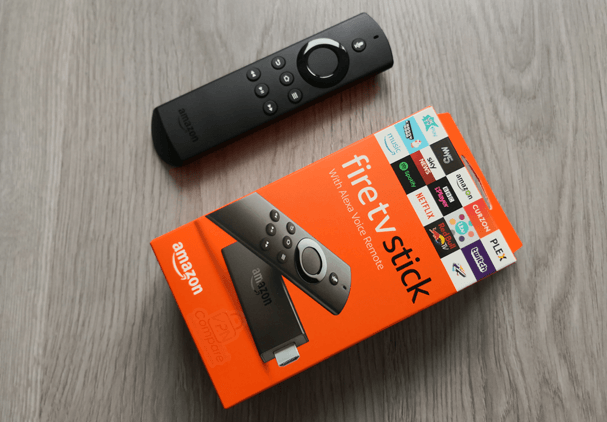 The Amazon Fire TV Stick. You will then be able to watch Phillip, Holly, Eamonn or Ruth on the big screen with their guests from the comfort of your sofa. When is This Morning shown on TV? This Morning currently shows between 10:30 am and 12:30 pm each weekday. With a VPN app you can watch either live at the same time it’s shown in the UK or if that’s a little early or later where you are in the world, then you can watch on catch-up too. When did This Morning start? This Morning has surprisingly been running since October 1988. Initially the show received very little promotion and it was expected to be a flop but after years of positive viewer figures and being relaunched more than once it’s become a national daytime TV favourite. Even those who don’t usually have time to watch daytime TV will recount sick days curled up on the sofa watching the likes of Richard and Judy or one of the other numerous presenters over the years. If you’re new to This Morning, no, Phillip Schofield and Holly Willoughby are not married! If you want to watch This Morning from another country, then you can. All you’ll need is a VPN app. I recommend using ExpressVPN especially if you’re not the best with technology. With just a few clicks of the app you can be connected and watching This Morning anywhere in the world. What’s been your favourite moment from This Morning over the years or who’s your favourite presenter, past or present? I would love to know so drop me a comment in the comments box below.